As you have probably noticed, I was not in the office this morning! I am actually traveling. My wife graduated in December of 2016 but is walking in the ceremony tomorrow. So, we are in Iowa for the weekend! If you missed yesterday’s hymn you can check that out here: Hymn of the Day: Pensive, Doubting, Fearful Heart. Today’s hymn is another classic, at least for me! I love the tune, although some would argue it does not fit the somber message of the words. James Rowe wrote the words and Howard E. Smith composed the music to Love Lifted Me. Take a listen to this wonderful hymn. I grew up listening to Alan Jackson. Certainly one of the better country singers. I am not a huge fan of country music, but singers like Alan Jackson, Johnny Cash, and George Strait were ones I could listen to! So, here is Alan Jackson singing Love Lifted Me. He only sings 2 out of the 3 stanzas, but still a great recording! 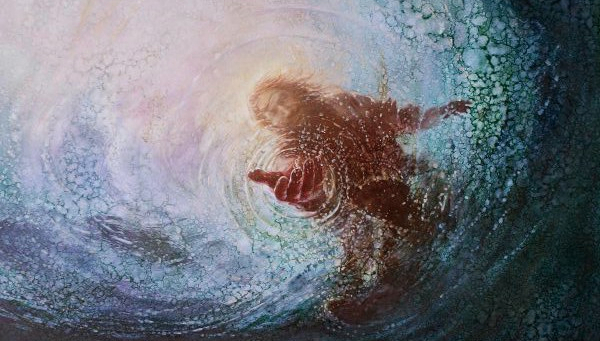 There seems to be a clear connection to Matthew 14 where Peter goes out on the water to meet the Lord, but he begins to doubt and sink. Then, the Lord comes to his aid and pulls him up to safety. Another Scripture reference for this hymn might be from the Psalms.